Well, I'm back and, guess what? I'm still going to write about whatever the hell I want to write about. Like it or not, they are entertaining. Like it or not, they are inextricably woven into the fabric of the long, weird, unruly, improbable, unbelievable history of the UFO phenomenon. 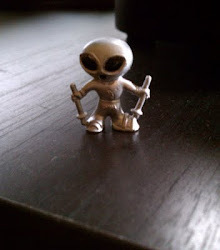 When I write about something, I am not necessarily vouching for its authenticity or its intrinsic value to UFOlogy; I'm simply saying, "This is an entertaining story and I want to have some fun writing about it." With that in mind, let me tell you about a fascinating cassette tape that I just digitized today. It was a recording of Dr. J. Allen Hynek addressing a 1979 gathering of "The Midwest Hypnosis Convention." When I saw that title I couldn't wait to hear the tape. 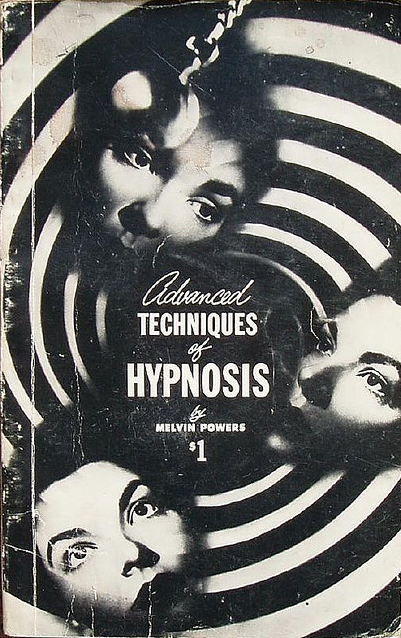 I've gotten so much grief from readers who point out that anyone who puts a UFO witness under hypnosis is an evil fraudster, and that I must be some kind of a dim bulb for believing such stories, that I had to find out what my man J. Allen thought of hypnosis and hypnotists. Turns out he was typically even-handed in his evaluation. Hypnosis: too much fun to be all bad. 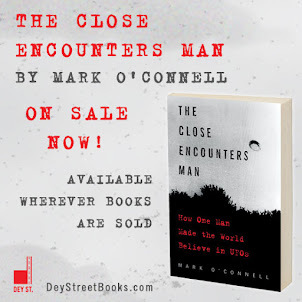 He also described his own experiences of being on-hand as several famous alleged UFO abductees underwent hypnosis. When he was able to question Betty and Barney Hill for an hour and a half after they were hypnotized by Dr. Benjamin Simon, he found Barney's terror at reliving his abduction was chillingly convincing: "He cried out with such terror... and such anguish, that I just couldn't think that he could have been faking that." When Hynek was present as James Harder made his first attempt to hypnotize Charlie Hickson, he was struck that Hickson fought back so fiercely against revisiting his experience: "He was very difficult. When Dr. Harder tried to get him under, profuse perspiration broke out on his forehead and his fists were clenching, and finally Dr. Harder had to give it up." He also described his involvement with Dr. Harder's inconclusive hypnosis of Travis Walton, who claimed to have been abducted by aliens in Arizona in 1975. When he reappeared some four days after his disappearance, Walton could consciously recall only the first few minutes of his odd experience: "Regressive hypnosis did not work very well with him. Most of the things that he told us, that he told the investigators, we're not sure how much of it was from conscious memory..."
So Hynek's verdict is: sometimes hypnosis seems to work, sometimes it doesn't. He certainly did not base his entire opinion of any of these cases on the hypnotic testimony alone, which simply affirms that he was very prudent in his judgement. In fact, at one point on the tape he admitted that he had nagging suspicions about Charlie Hickson's story, and that he tested Hickson by getting him drunk and asking him to repeat his tale: "Knowing that a great many things dissolve in alcohol, I thought his story might dissolve in alcohol as well." But, to Hynek's apparent surprise, "His story stood up! Even though, of course, Charlie didn't." Whichever side you come down on, it's pretty cool to hear/read the comments of a man who was in the room when these attempts at hypnosis took place. That's real history right there, and that's fascinating.